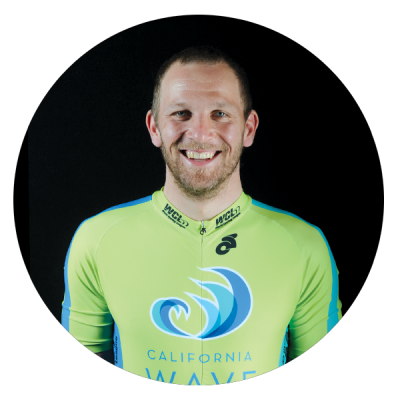 As one of the top track racers in the world, Andreas Mueller brings his enormous talent to lead the California Wave. A native Austrian, Mueller has won 17 National Championship titles in Austria and Germany, two nations where track racing is hugely popular. Add to that 81 six day races, 13 World Cup podiums, multiple World and European Championship titles and many appearances in the U.S. where he has thrilled crowds at the VELO Sports Center, T-Town in Pennsylvania and in road races around the country. Of all the places where Mueller has raced, he ranks the U.S. at the top and in particular likes being back on the World Class German built track at the VELO Sports Center.